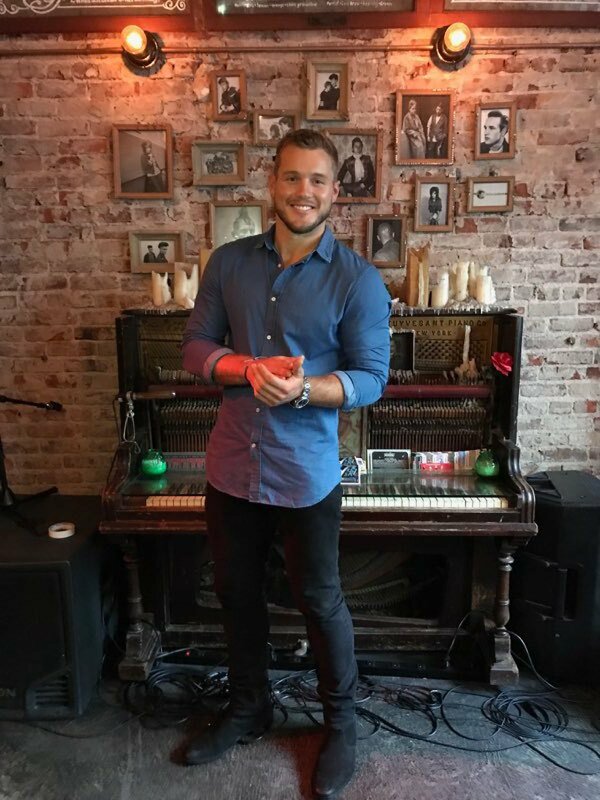 Colton Underwood's 'The Bachelor' season filming underway, Mike Fleiss teases "greatest cast of women ever"
Colton Underwood's season of The Bachelor has started filming! Production on Season 23 of The Bachelor is underway, as filming began on September 21 in Los Angeles, CA. And according to Reality Steve spoiler blogger Steve Carbone, two dates have already filmed since then, with a third date taking place on September 25. The Bachelor's executive producer, Mike Fleiss, began posting updates about Colton's The Bachelor edition on September 20. At the time, Mike shared a couple of photos of Colton and his orange jeep, saying The Bachelor star was "ready" to begin his journey to find lasting love. "Exclusive behind-the-scenes photos of Night One coming soon!!! #TheBachelor," Mike subsequently tweeted on September 21. That night, Mike shared a photo from inside the producers' control room, and multiple monitors showed Colton looking handsome in a blue suit as well as several bachelorettes lounging in the mansion, including two pretty blondes and one brunette. "Behind the scenes," Mike captioned the September 21 image. Mike has teased on Twitter the 26-year-old charity founder and former professional football player's group of bachelorettes this season will be the "greatest cast of women -- ever!" And on September 23, the executive producer shared a picture of Colton smiling as he was standing in front of a piano. According to Carbone, a one-on-one date just filmed on Monday. "Colton on a 1-on-1 date today. They are helicoptering down to Belmont Park in San Diego. I'm guessing pics will be out later to identify who he's with," Carbone tweeted on September 24. "It's a small amusement park that's been rented out just for the date. They've also closed off the main boulevard." Colton is starring on The Bachelor, which will premiere in January 2019, after competing on Becca Kufrin's season of The Bachelorette as well as Bachelor in Paradise's fifth season earlier this year. Colton, a self-declared virgin with little dating experience, has had fans questioning whether he's truly ready to settle down and get married -- or even if he really knows what he wants in a partner. But when Colton was announced as The Bachelor star earlier this month on Good Morning America, he insisted he's "absolutely ready" to get down on one knee, as he can't wait to become a husband. And during an appearance on The Ellen DeGeneres Show last week, Colton gushed about how he was born to be a father and looks forward to welcoming children. 'Married at First Sight' star Danielle Bergman: Tantra yoga was "horrifying" and super awkward, Bobby Dodd and I hated it!